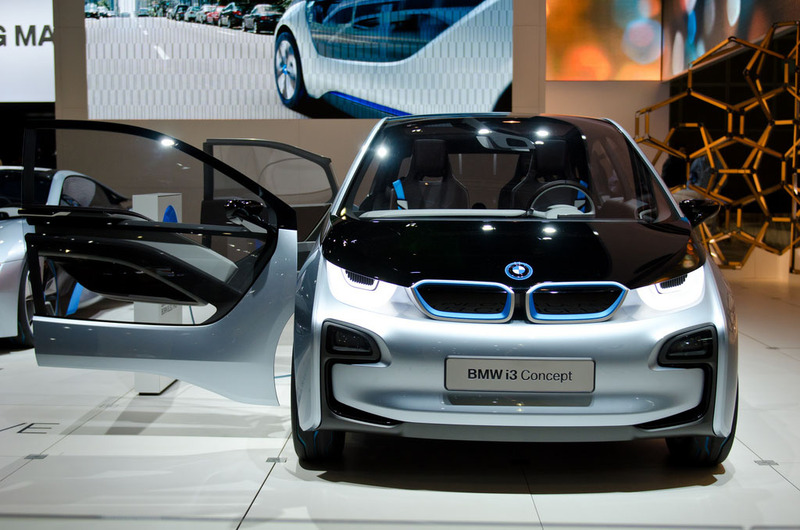 The BMW Concept i3 is the first premium electric plug-in city car, while the i8 Concept is a hybrid plug-in and combustion engine sports car. 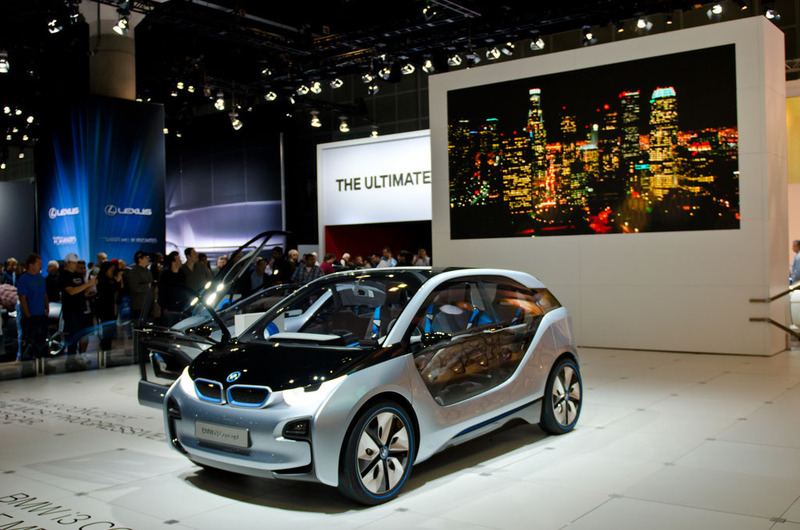 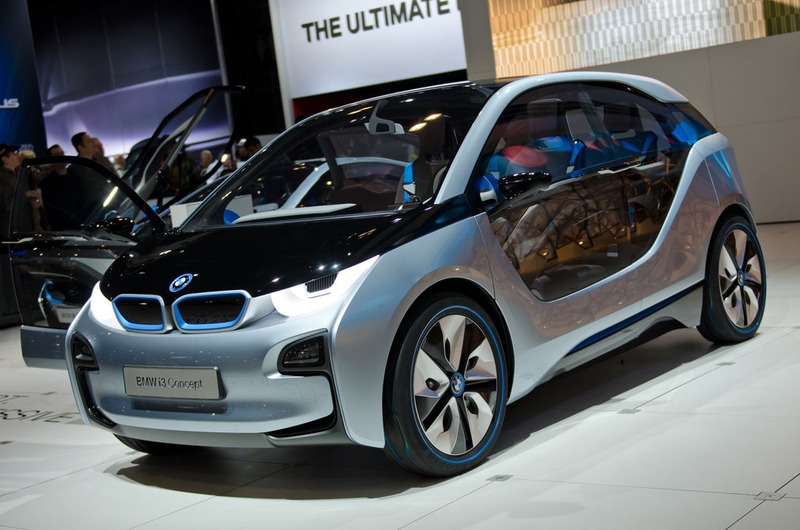 BMW demonstrates how the future of sustainable and yet dynamic mobility might look. 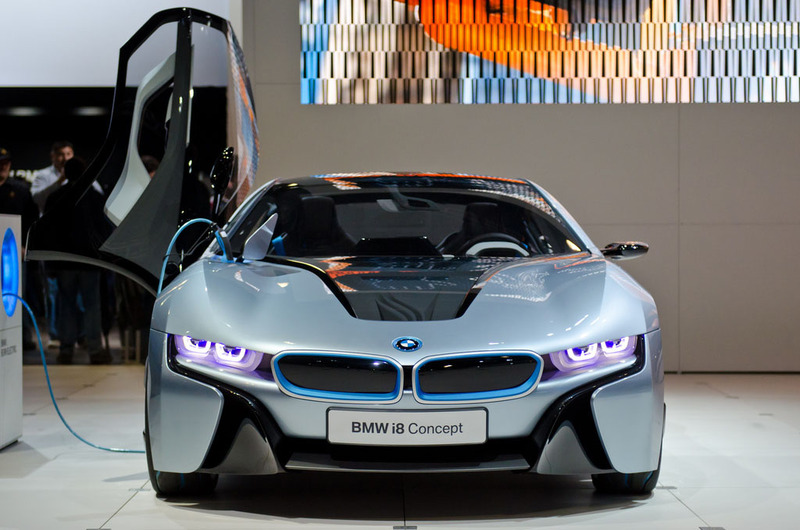 The i8 is based on the BMW Vision EfficientDynamics concept from 2009. i8 combines the electric drive system from the BMW i3 Concept with the innovative plug-in hybrid concept. 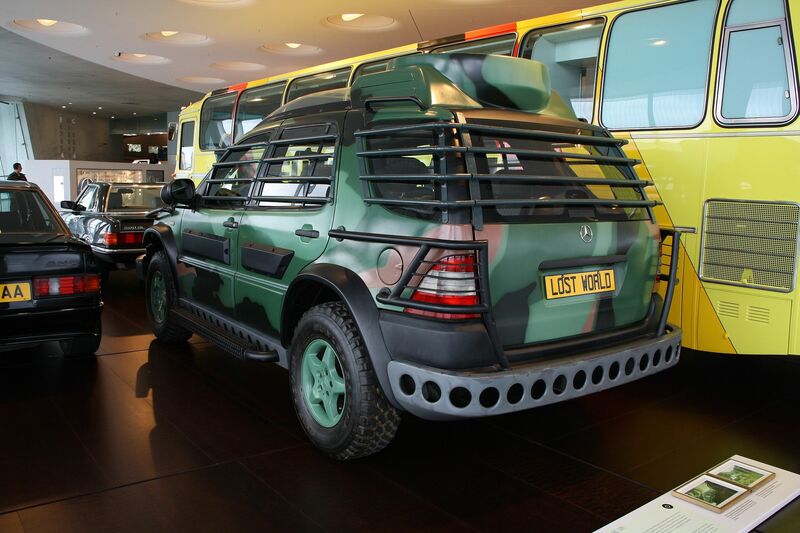 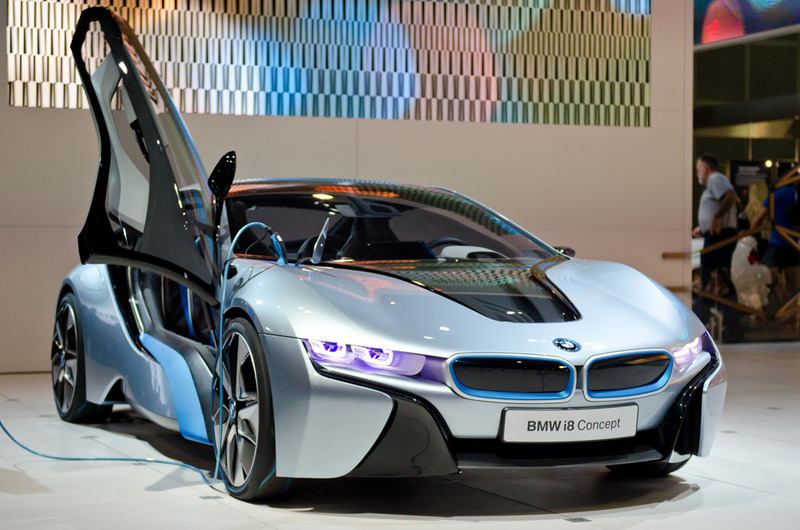 It has a high-performance three-cylinder combustion engine which produces 164kW/220 hp and 300 Nm (221 lb-ft) at its rear. 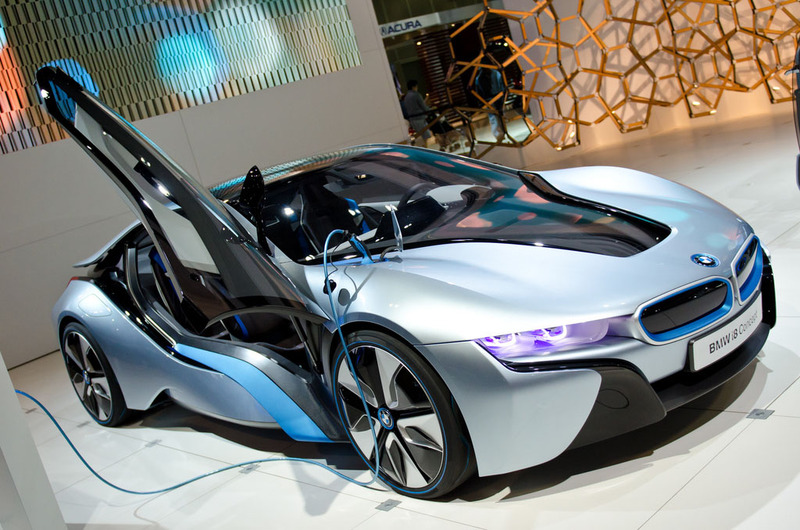 The BMW i8 Concept is a four-seater car that provides sufficient space for passengers. 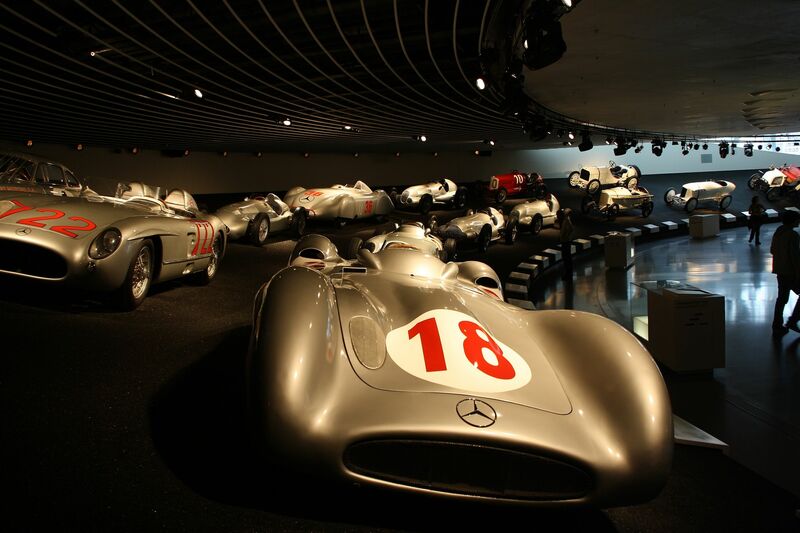 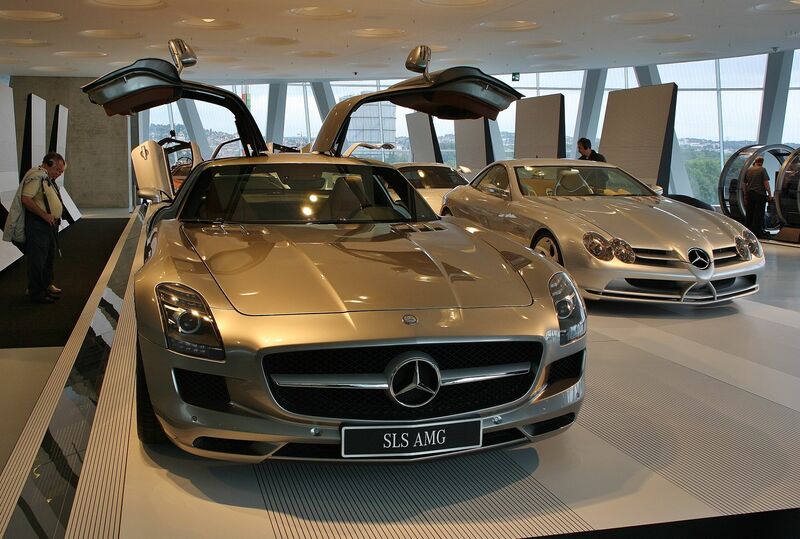 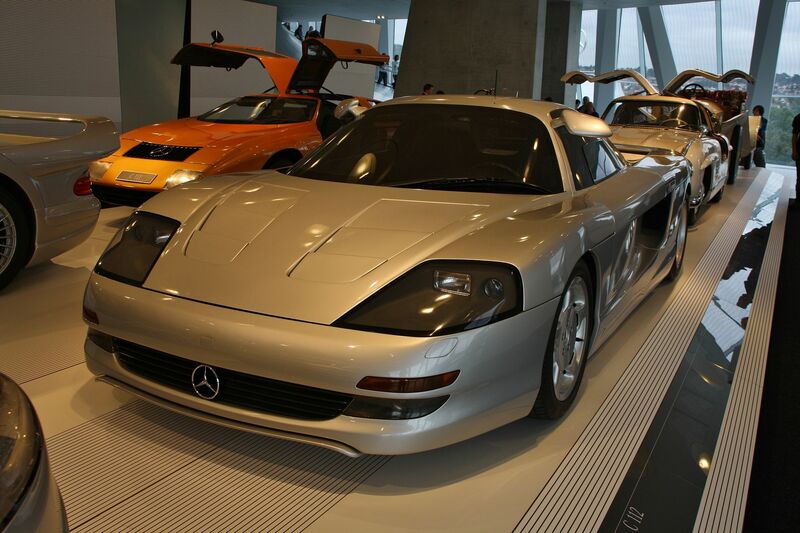 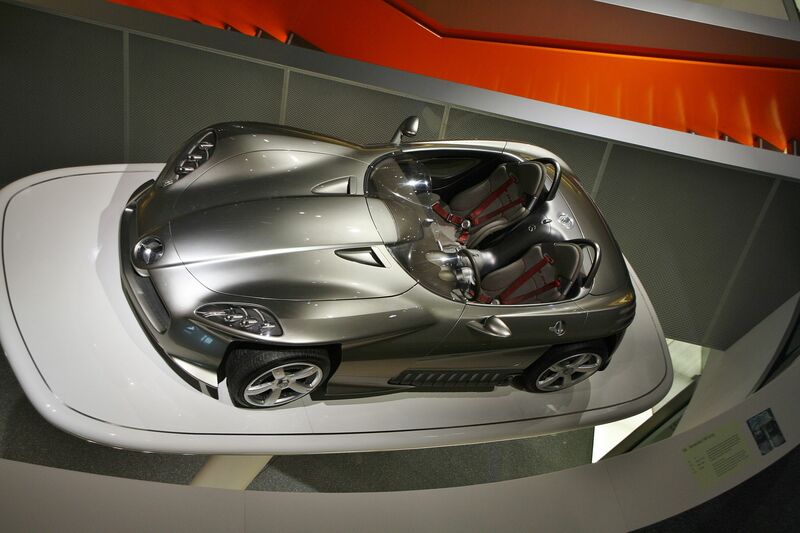 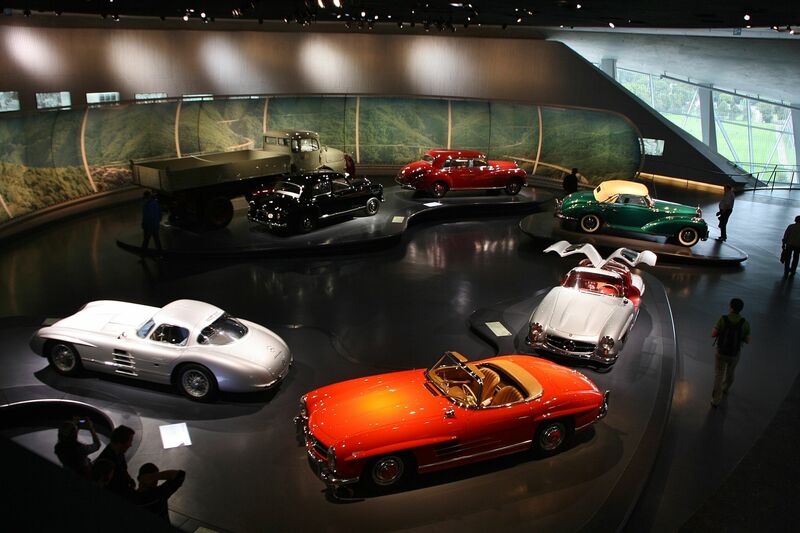 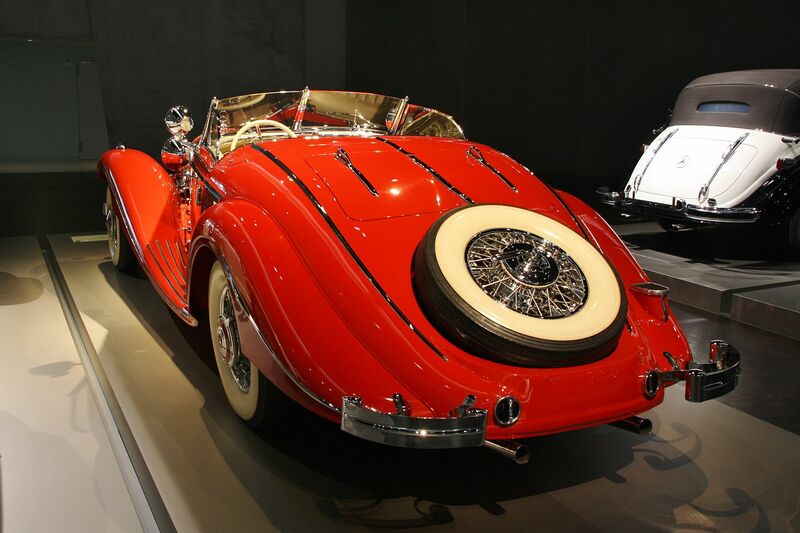 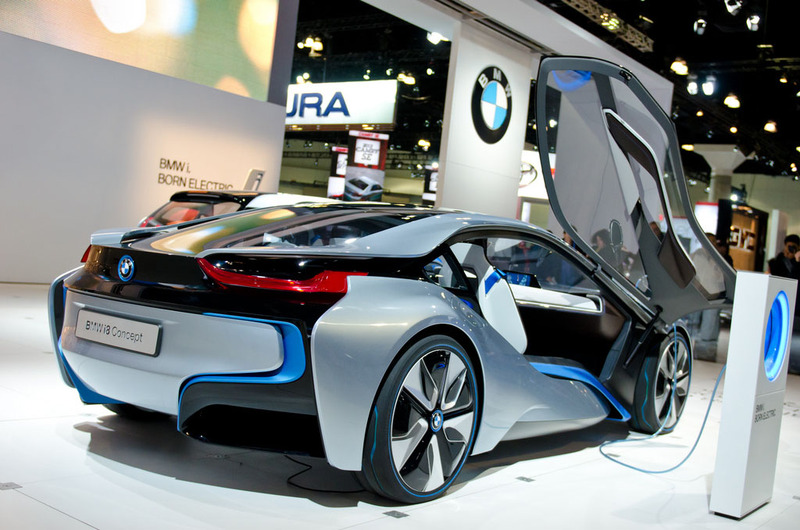 Here are some photos from Los Angeles Auto Show 2011. 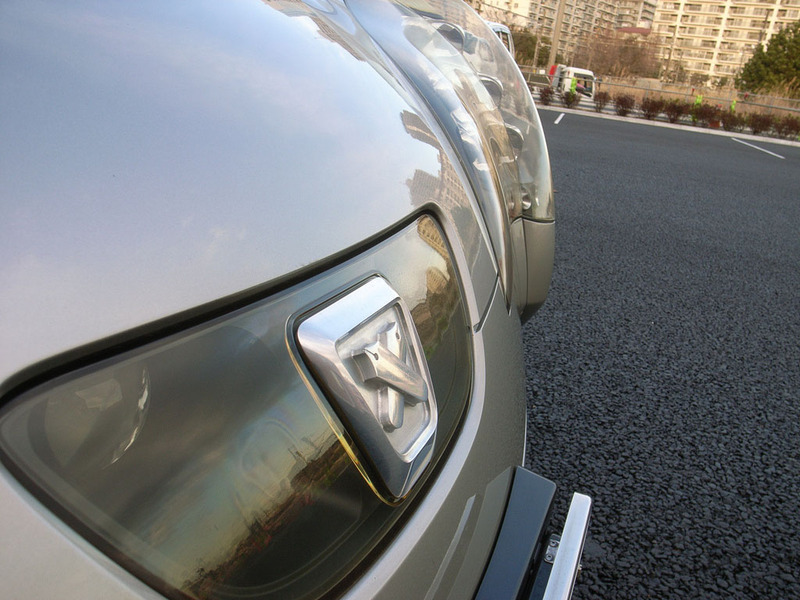 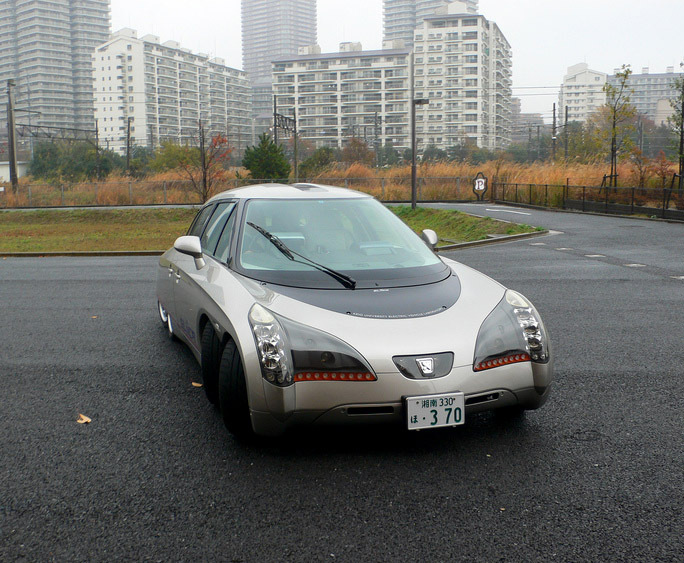 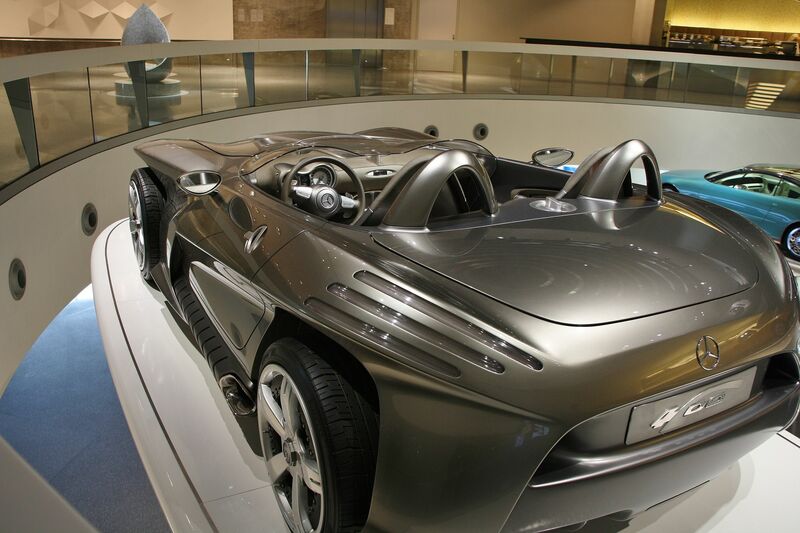 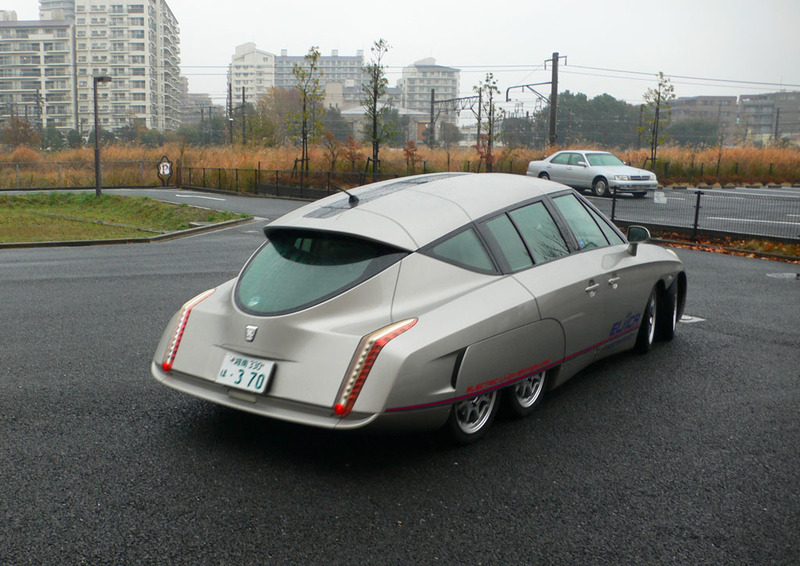 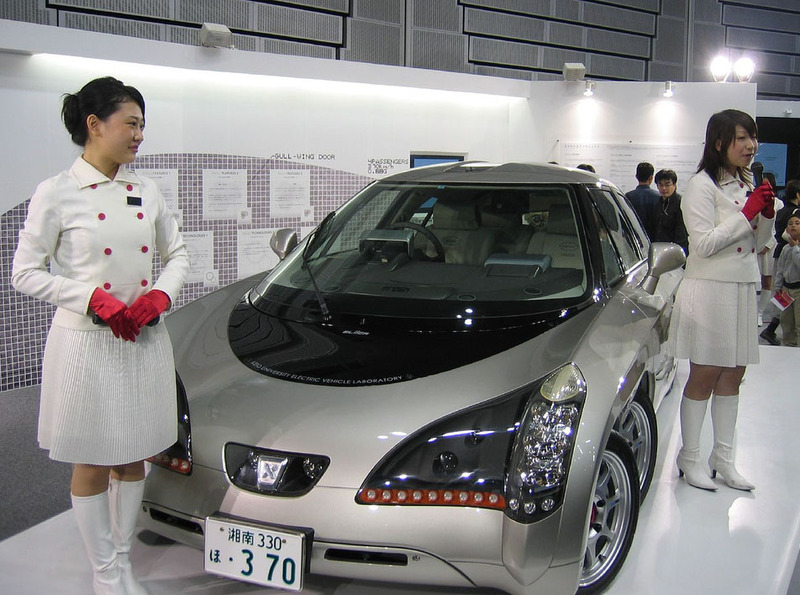 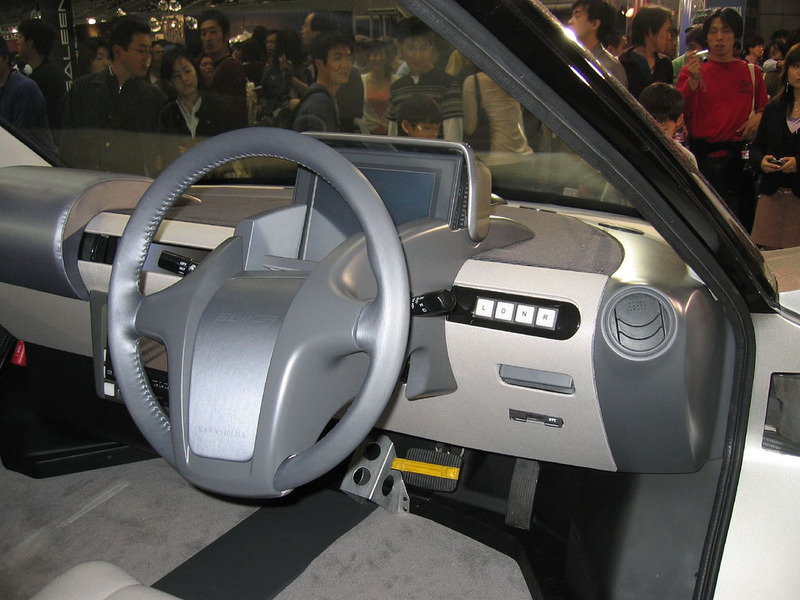 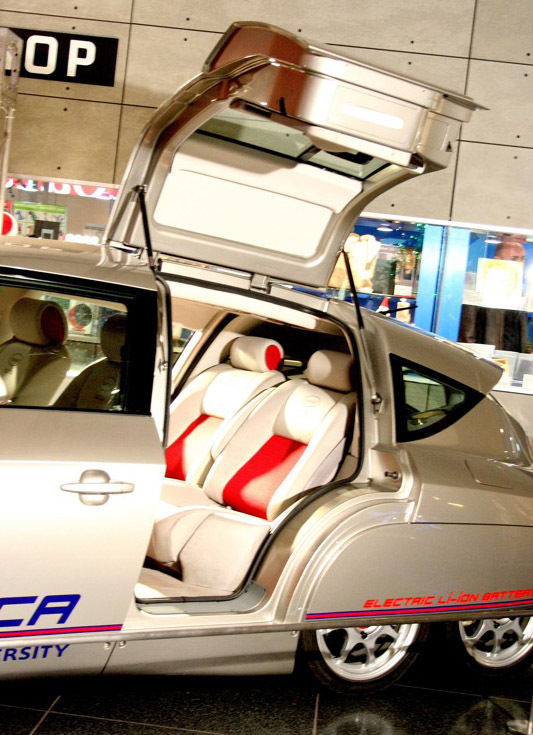 The Eliica is a battery electric vehicle concept car first shown in 2004 and designed by a team at Keio University in Tokyo, led by Professor Hiroshi Shimizu. 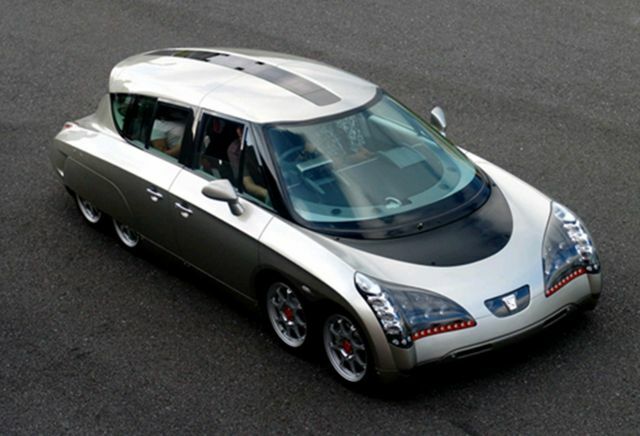 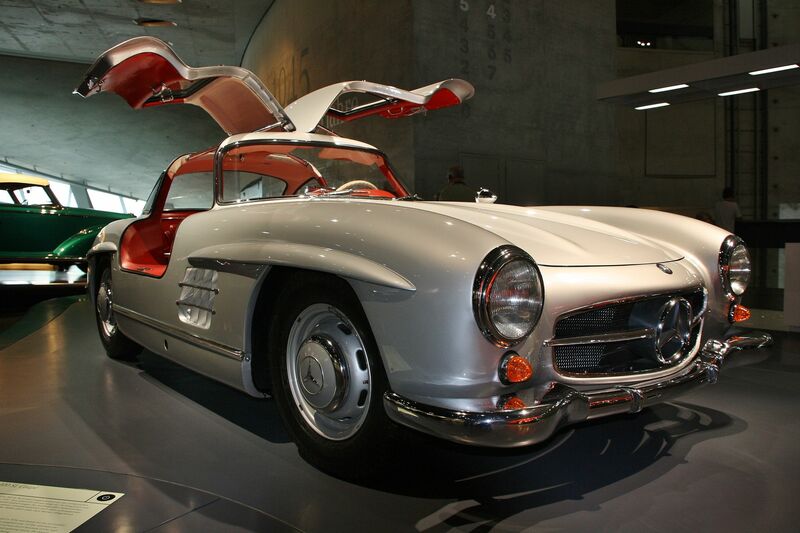 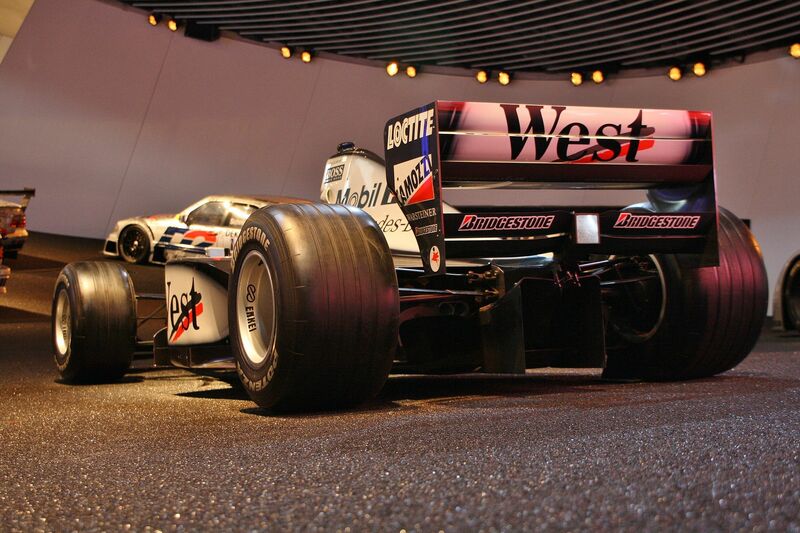 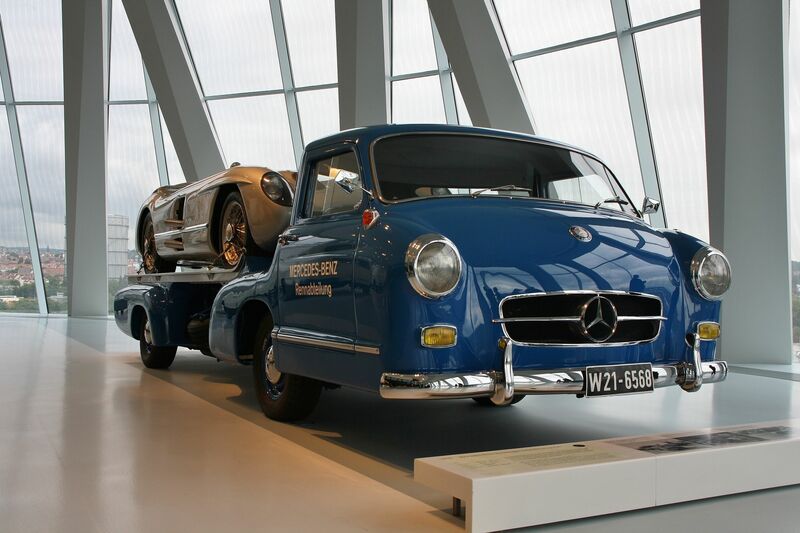 The 17 ft (5.1 m) car runs on a lithium-ion battery and can accelerate from 62 mph (0–100 km/h) in 4 seconds. 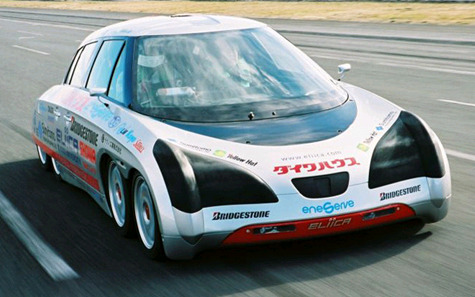 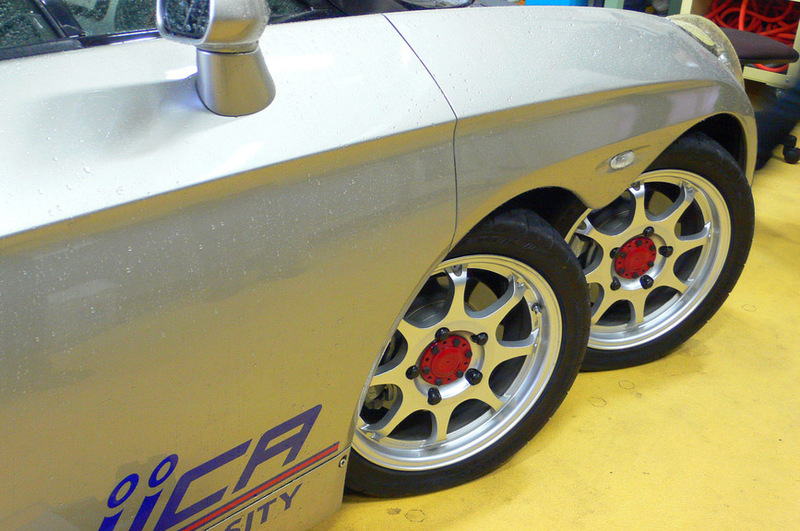 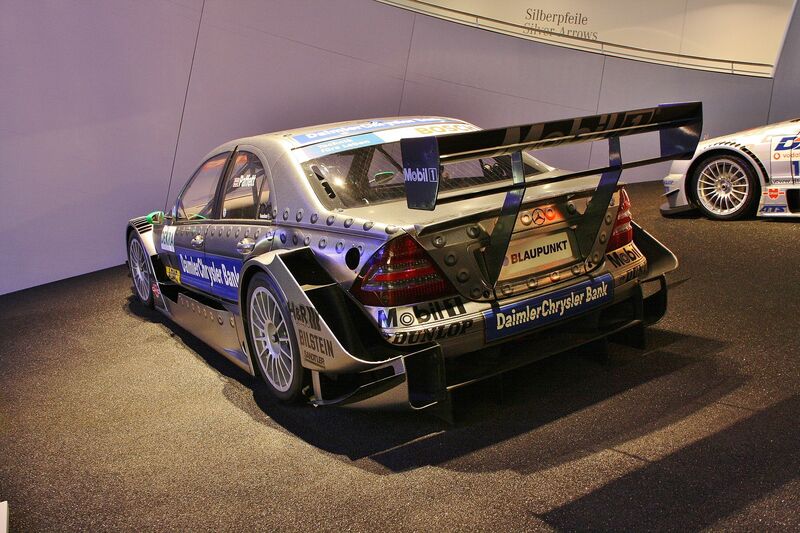 In 2004, the Eliica reached a speed of 230 mph (370 km/h) on high speed track. 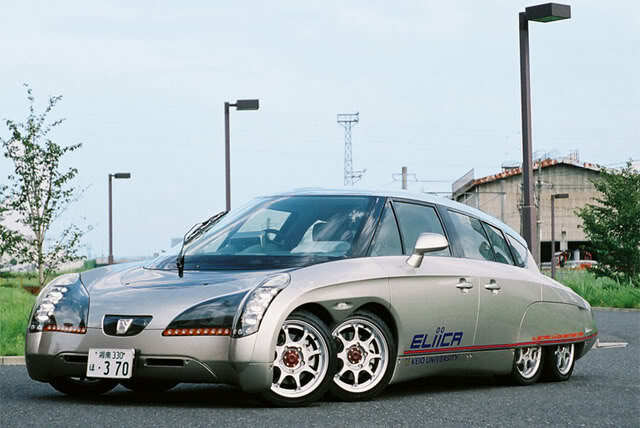 The Eliica weighs in at 5,300 lb (2,400 kg) and seats the driver and three passengers. 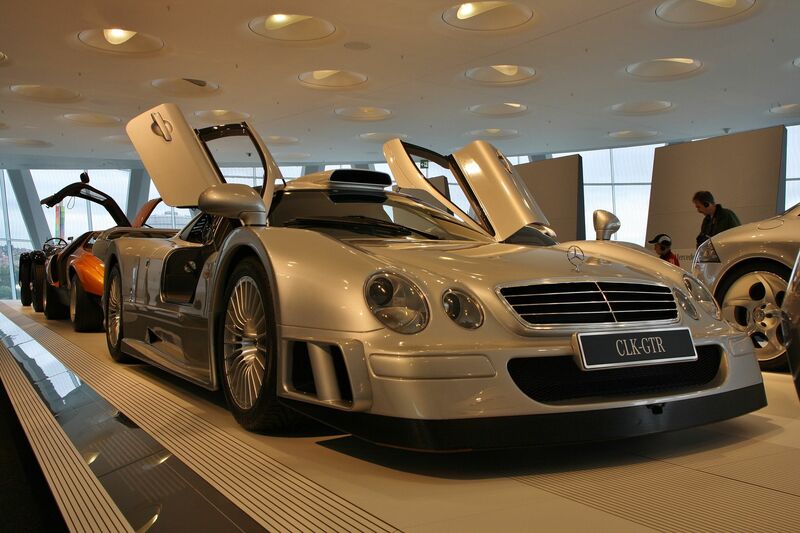 The projected price was about $255,000 USD.